Dimension : 6" x 18" x 18"
We offer a wide range Optical Table Top Revolving Stand. These stand are available in different designs. These stands can be customized as per the requirements. 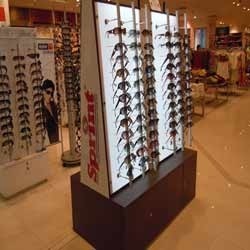 We are the leading manufacturers of Optical Kiosk for malls. These units are totally modular. These units are made up of good quality wood and can be customized as per the requirements of clients. 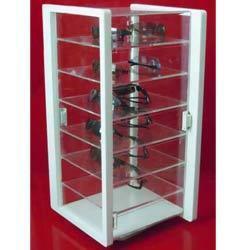 Looking for Optical Non Revolving Stand ?